ISA BRIONES was born Isabella Camille Briones in London, England. Her parents, Jon Jon Briones and Megan Johnson Briones are both actors and singers, and her younger brother, Teo Briones is also an actor. She began modeling in New York at the age of 3, and started acting when her family moved to Los Angeles in 2006. She is best known for her role in the film Takers, playing Matt Dillon's daughter. 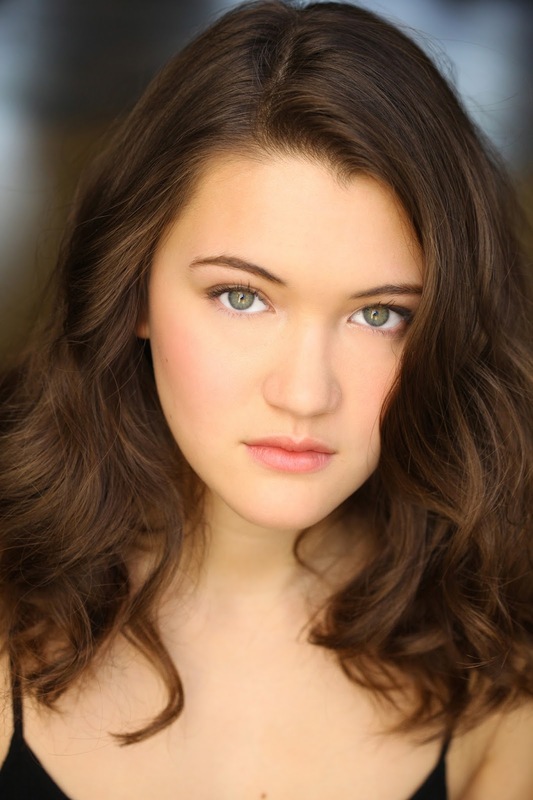 Isa is entering her senior year of high school, and is excited to be making her professional theater debut in this production of Next to Normal. School theater credits include: Velma in Hairspray, Brooke in Legally Blonde and Abigail in The Crucible. TV and film: “Takers,” “Cutthroat”, “Lonely Boy”. Isa is currently playing the role of ‘Natalie’ in Next To Normal, a contemporary rock musical with book and lyrics by Brian Yorkey and music by Tom Kitt, featuring a live five-piece band. Next to Normal explores how one suburban household is torn apart by mental illness and fights to stay together. Next to Normal, a guest production at The Pico Playhouse, runs August 19 – September 25, and is produced by Triage Productions and SRO Productions. You were born into a musical theater family and grew up surrounded by performers, what was that life like as small child? Being brought up in that world of performers was truly an amazing experience. It was definitely not your usual childhood but that’s what made it so great. My fondest memories are trick-or-treating backstage during Miss Saigon around the dressing rooms and birthdays surrounded by the cast and all the amazing countries I was fortunate enough to visit. I was immersed in this world of people pursuing their dreams and that really inspired me to do the same. Did you happen to travel with your parents when they were on the road doing a show? If so, was there a country, city or town you liked exploring or have pleasant memories of that you would visit again, and why? I was born in London when my dad was closing the original West End production of Miss Saigon and I was there for all of the Saigon tours my parents did after my birth: Asian, US, and UK. One place that I would love to visit soon is the Philippines. Almost all of my family on my dad’s side lives there and I haven’t seen them in over ten years. I was so young the last time I visited so my memories are just short flashes here and there of the beautiful beaches and playing with my cousins. When did you first consider becoming a performer? I think performing has pretty much always been a part of me. I remember performing one-man reenactments of Miss Saigon for my grandmother on her fireplace or dancing to Gwen Stefani in our hotel in the Philippines. However, I didn’t start professionally acting until we settled down in LA when I was eight and I pursued film and TV. But I think I decided to really commit to pursuing musical theater two summers ago when my dad was living in London doing the West End revival of Miss Saigon. I got to see so much fantastic theater and I had such an emotional response to watching the shows, not because they told emotional stories but because I couldn’t help but think of what it would be like if I was up there on stage. That made me realize how urgent my need to perform was. Was or is there a teacher or coach, or someone who encouraged you along the way whom you might call a mentor. It’s cheesy but my parents have been my coaches my whole life. I only recently started taking voice lessons with a teacher, before that it was always my mom. Everything I know about singing, acting, and life is because of her. She’s a truly amazing woman because she puts our family first and works so hard to make sure we have every opportunity possible and on top of that, she’s unbelievably talented. And my Dad is such an inspiration too because he came from a very poor area in Manila, Philippines. The fact that he was even able to get out of that situation at all is impressive, but to know he achieved that solely on his talent is a huge inspiration. He has worked so hard for so long to get to where he is now, making his Broadway debut at 50. They are both such hardworking, dedicated people that inspire me every single day. Tell us a bit about your character, Natalie. What you do you feel the character is there to communicate through song and text to the audience? Natalie is a teenaged girl whose entire life has revolved around her mother. It has made her feel “invisible”, as the song says. Her mother’s inability to let go of her son leaves Natalie feeling unloved, motivating her to throw herself into anything that will distract from her pain. Most of what you hear come out of Natalie’s mouth is snarky comments calling everyone out but as you see later in the show, deep down, she’s just a girl who needs her parents; she needs her mom. That basic, universal need for love and family is what makes Natalie such a relatable character. Is there anything you’d like us to know about your experience with NEXT TO NORMAL, whether it is the musical itself or the creative process, and/or people involved? The thing that is so great about the show is how real it is. The story doesn’t end with some sugar coated happy ending because that’s just not how life goes. It so perfectly follows every character’s journey from chaos to a very realistic, bittersweet resolution. And even though the play is specifically centered on mental illness it’s a story about family, which makes it so relatable to any audience. We’ve got such a great cast and a fantastic director, Thomas James O’Leary. That has made this experience so great. Do have a favorite musical or play that you’d like to be in? Well, my old answer to this question used to be Next to Normal! I guess I have to find a new answer. Shows I would love to do one day are definitely In the Heights and Spring Awakening, with Nina and Wendla, respectively, as my top dream roles. Next to Normal, garnered three 2009 Tony Awards, and the 2010 Pulitzer Prize. August 19 – September 25, 2016. Fridays and Saturdays at 8 pm, Saturdays and Sundays at 2 pm. Tickets: $32 – 36.99. 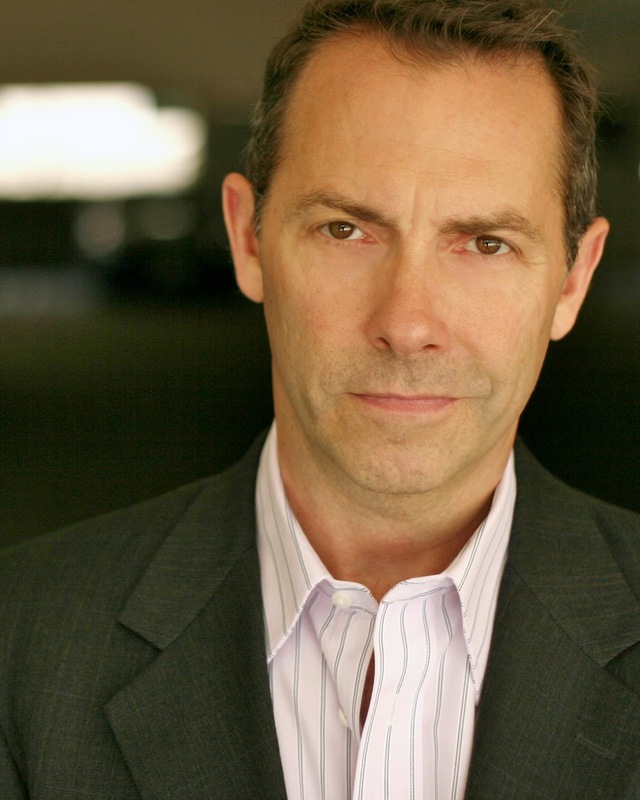 Thomas James O’Leary’s recent directing credits include Flim Flam: Houdini and the Hereafter, Thoroughly Modern Millie, Nine, Dusty de los Santos, The Debut of Georgia, A Horse with a View, and currently Sunday in the Park with George. Thomas is best known for his three-year run (over 1,000 performances) in the title role of Broadway’s longest-running musical, The Phantom of the Opera. Other acting credits include Miss Saigon (Broadway original cast), Les Misérables (First National original cast), Chess (First National), You Never Can Tell (Yale Rep), Last Sunday in June (Century Center), Travels with My Aunt (Colony Theatre), and Take Me Out (LA Weekly Award, Celebration Theatre). O’Leary is currently directing Next To Normal, a contemporary rock musical with book and lyrics by Brian Yorkey and music by Tom Kitt, featuring a live five-piece band. Next to Normal explores how one suburban household is torn apart by mental illness and fights to stay together. Next to Normal, a guest production at The Pico Playhouse, runs August 19 – September 25, and is produced by Triage Productions and SRO Productions. How did you first become involved in theatre? I wasn’t even sure I wanted to be involved in theatre until I was in college. I started doing musicals at UConn where I got a BFA in acting, but it was all very new for me. So after college I trained at Trinity Rep Conservatory in Providence, RI, where I got down and dirty with both acting and directing. There I got to work with some amazing actors, directors, and teachers, including Richard Jenkins, Larry Arrick, Suzanne Shepherd, and Adrian Hall. I remember I’d watch Richard Jenkins’ performances as often as possible – I snuck into the back of the theatre to watch the last 45 minutes of Death of a Salesman every night for that show’s two-month run, just to study his work! What was you first professional job? My first professional acting gig was doing a season of musicals at Nutmeg Summer Theatre, UConn’s summer theatre back in the ’80s – that summer I did South Pacific, Damn Yankees, and Dames at Sea. I performed in so many musicals during my college years that by the time I went to Trinity Rep, I swore off musicals because I felt “I needed to be taken more seriously as an actor.” Ha! I’m embarrassed now by my judgmental attitude toward musicals at the time, but I’m also grateful I focused so much on acting and directing during my conservatory training! What was your most memorable performance as an actor? 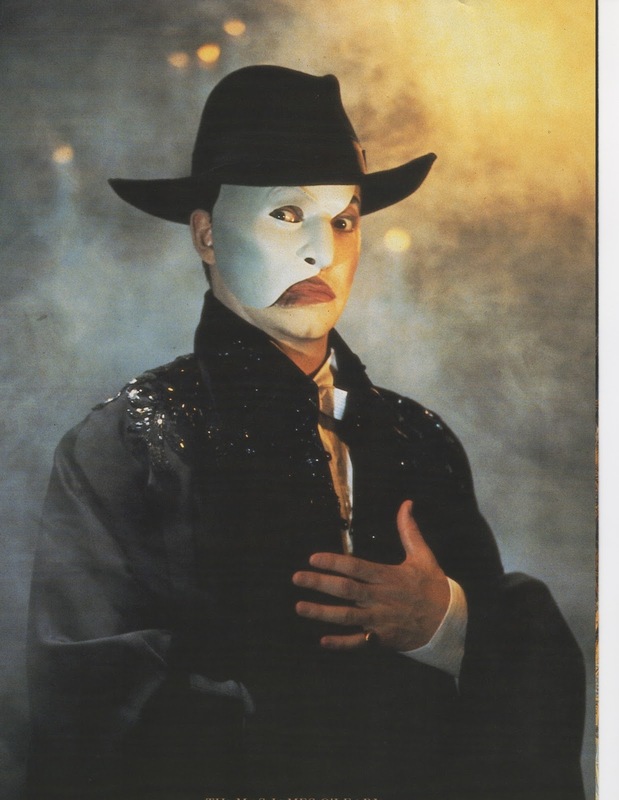 I think the year I played the Phantom in the national tour of The Phantom of the Opera before I took over the role on Broadway was my most artistically fulfilling time as an actor. I remember I got a mixed review from the local paper in the first city I played, and I was crushed! Luckily I was working with a dream of an actress, Diane Fratantoni, as my costar. We were both so committed to the work that we just worked off each other, moment to moment, night after night. By the end of those seven weeks, I knew we had something special happening, and from the next city on, it seemed the critics thought so too. Did you have a mentor or mentors along the way? If so, who? Larry Arrick, the artistic director of Trinity Rep Conservatory, probably taught me the most about directing in my early years. He always pushed me to pursue a directing career. But once I was in NYC, I focused on acting only, and after taking a lot of classes (and cleaning a lot of apartments), I landed my first big acting gig, Les Miserables, which led to a long period of work. I was very fortunate! And during the six years I worked on Phantom, the legendary Hal Prince was my inspiration and teacher – though I was working with him as an actor, I look back at those six years as a master class in directing. I think I learned the most about research work, concept work and visuals from Hal. When did you start directing? After I graduated from Trinity Rep Conservatory, I directed a production of Equus at a small theatre in Rhode Island. The actors and I were so motivated that we built our own theatre space, using donated sheets of plywood and borrowed nail guns, in a small prep school auditorium. I placed the entire play in a boxing ring/hospital operating theatre and created the horse Nugget with the ensemble using the white cords of the boxing ring. It remains one of my most fulfilling experiences. And since moving to LA about 10 years ago, and discovering the rich theatre world here, I have put directing back on the front burner, and am so glad I did. You also work as a full-time member of the faculty at AMDA College and Conservatory of the Performing Arts in Hollywood. Is there one point you work at getting across with each of your students? I think a lot of musical theatre actors get a bad rap as not being true actors, and I’m trying to change that in whatever ways I can with my students. I teach the various approaches I’ve used in my past to help them treat sung material as any good actor would approach the text of a play. The main difference is that characters in a musical sing when the circumstances are beyond words, which means the stakes need to be higher. But it’s surprising how easy it is for a singing actor to get lulled into just singing a song, because it feels so good to sing, which just doesn’t cut it in musical theatre today. How did directing NEXT TO NORMAL come about? I recently had the pleasure of meeting Selah Victor and Rory Patterson through the Actors’ Co-Op in Hollywood. Selah reached out to me regarding Next to Normal, and as soon as she mentioned the name of the play, I knew I needed to make this work. Meeting Zach Lutsky confirmed for me that I would love to work with this company. They are such wonderful producers and just great people! I’m very grateful to them for this opportunity of a lifetime! Tell us a bit about the musical and what drew you to the material? I was blown away by this play when I first saw it on Broadway and again at the Ahmanson. Next to Normal offers an incredible fusion of a strong naturalistic and contemporary dramatic story with a sometimes searing, sometimes tender rock score. A lot is written about how the play deals with someone’s mental illness in relation to the medical profession, but I’m much more drawn to how boldly and sensitively the play deals with the family. This play puts everyone on the map in such an accurate way, and with such specificity and nuance. And in the end, each character’s struggles in this play lead him or her to the priceless gift of self-acceptance, which frankly took me years to find on my own life journey. Is there something you want the audience to experience having seen the production? Because we get to do this gem of a musical in an intimate theatre, I think we can draw the audience in to the story in a way that can be a lot more challenging in a 2,000-seat theatre. Of the various characters’ journeys, I suspect that any audience member can relate to at least one of them, if not a few. And though the play is wisely leavened with some select doses of comedy, it doesn’t pull any punches with heart-rending moments that can pack a wallop. It can be an emotional rollercoaster, but in the end, I hope that our production can offer an inspiring and touching, if not transformative, experience for audiences. Saturdays and Sundays at 2 pm. Tickets: $32 – 36.99.